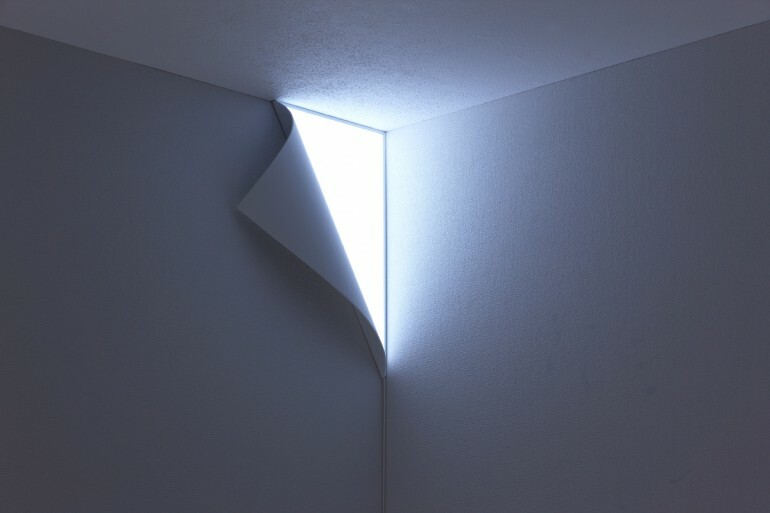 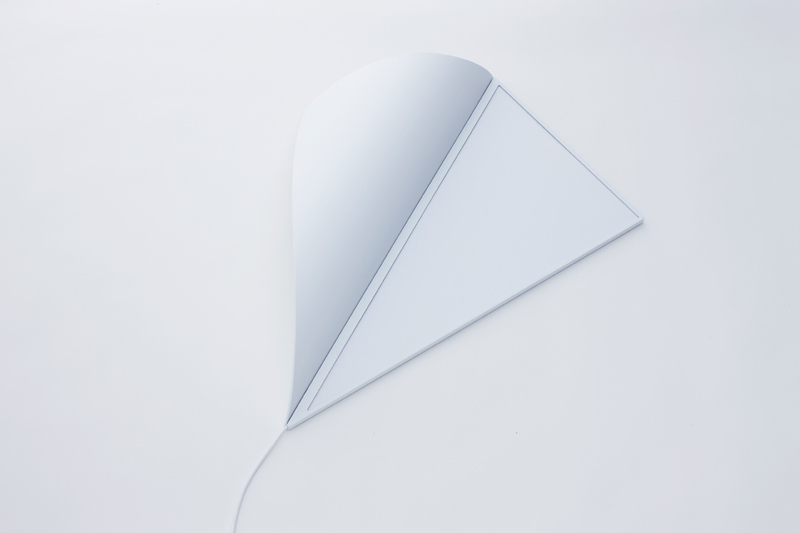 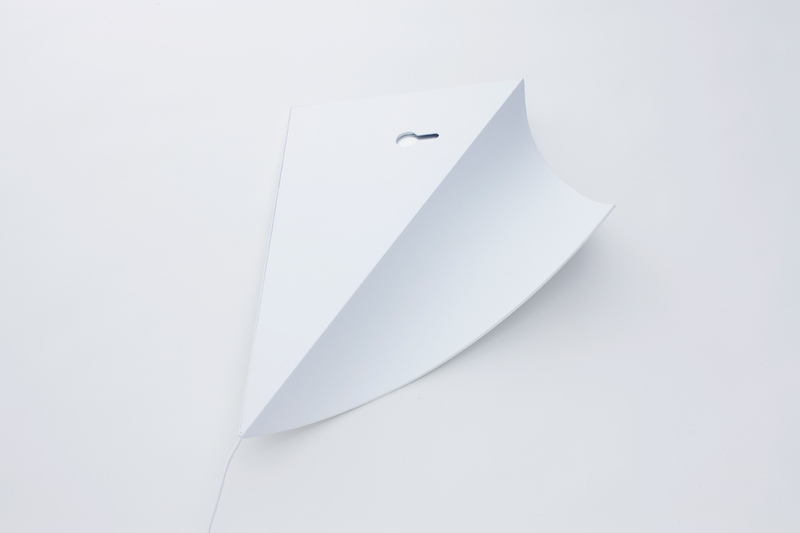 A wall light that looks as if a corner of a wall were peeling and light was leaking therefrom. 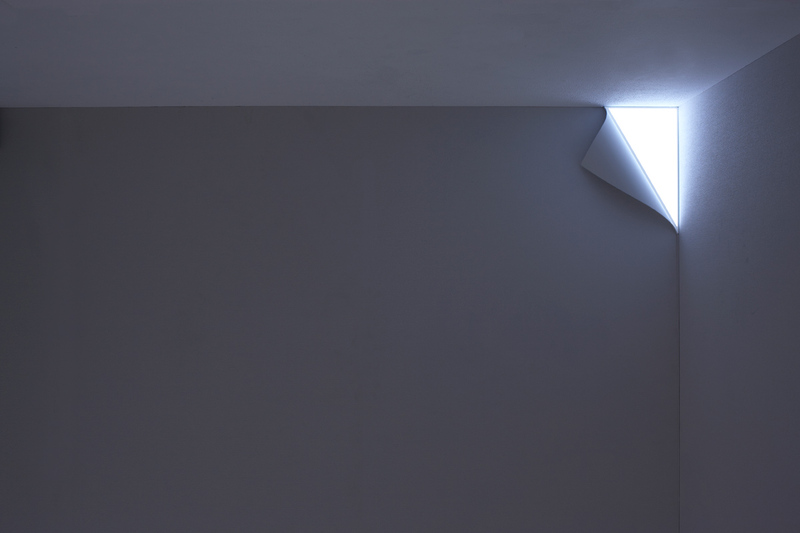 OLED is used to make the light source as thin as possible and the electric cable is let to stay along a corner of walls so that it doesn’t stand out. 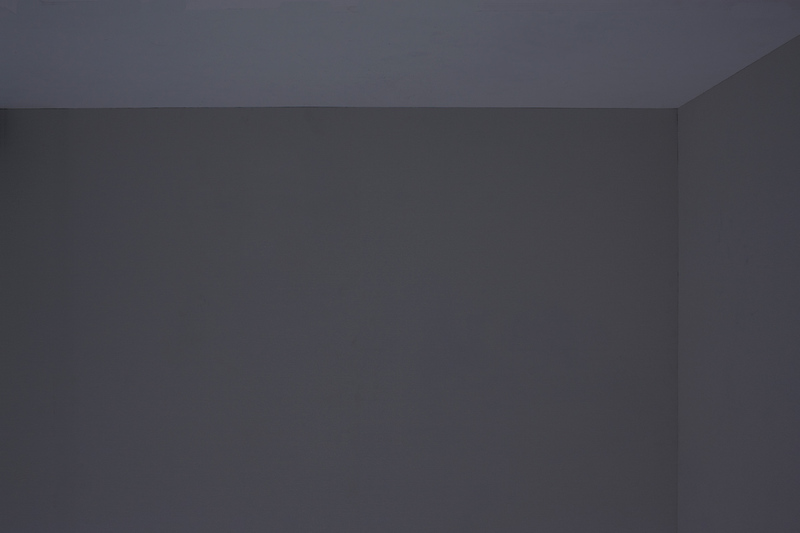 It can be ﬁxed to the wall with a hook.